Designed for devotees of pure values, Laurent Ferrier offers updated horological fundamentals through a renewal of origins, positioning it in an exclusive circle of mechanical Haute Horlogerie. Available for the first time in the United Arab Emirates at Ahmed Seddiqi & Sons, Laurent Ferrier develops movements crafted in harmony with the finest traditions, while enriching them with high-performing and genuinely innovative technical attributes. NEOCLASSIC AESTHETIC APPEAL: The historical roots of the case designs lie in 19th century pocket watches that were shaped like pebbles (galet in French). Laurent Ferrier favours simplicity, elegance and above all readability, resulting in ultra-legible dials and a “ball-shaped” winding-crown that is particularly easy to handle. AVANT-GARDE CONSTRUCTION: Laurent Ferrier bridges the gap between horological tradition, embodied by a wealth of details and finishes, and industrial innovations. Its movements feature an entirely novel construction and are made from cutting-edge materials, the goal being to achieve a perfect blend of classic aesthetics and ultra-reliable functionality. HIGH-LEVEL FINISHING: The high-grade finishing highlights the aesthetic and above all the functional criteria of a movement. Great attention is devoted to details, including interior angles and smoothly rounded manual polishing known as bassinage. The sapphire crystal case-back reveals the finesse of the workmanship. While Laurent Ferrier has succeeded in superseding technical constraints, both the functions and the aesthetic must be irreproachable. It is a combination of details that gives rise to efficient and reliable watches, which is why finishing plays such an important role. CHRONOMETER-WORTHY PERFORMANCE: Laurent Ferrier calibres are high-precision timing instruments. Their accuracy stems from their avant-garde industrial construction. Thanks to high amplitude combined with manual adjustment of the escapement, the rating precision of the Tourbillon Double Balance-Spring movement is quite simply exceptional, with a daily variation in rate of no more than 3 seconds! The precision of Laurent Ferrier movements is duly recognised and certified by the Besançon Observatory. EXTREMELY LIMITED PRODUCTION: The movements are all developed and assembled in Laurent Ferrier’s Geneva workshop. 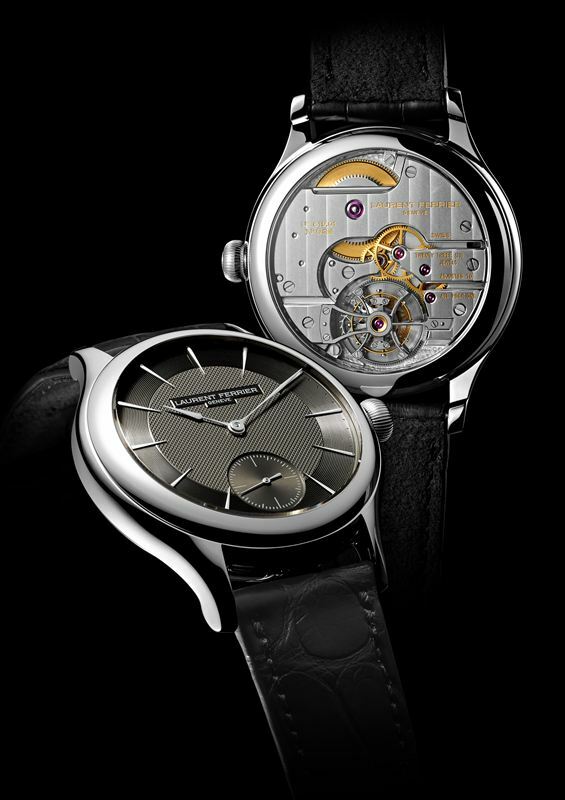 Laurent Ferrier demands extremely high-quality craftsmanship and finishing. Each stage of production is punctuated by meticulous testing and controls. In order to ensure compliance with these high demands, the brand workshops produce only a strictly limited number of timepieces. Laurent Ferrier timepieces are now available at Ahmed Seddiqi & Sons and for more information on Ahmed Seddiqi & Sons please visit: www.seddiqi.com.